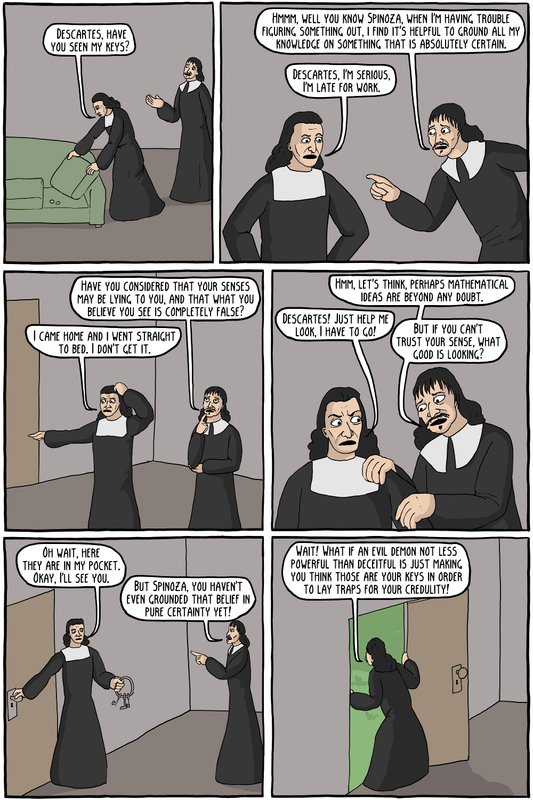 Spinoza thinking about the keys like three days later: "wait a second, I don't even HAVE pockets!" Rene Descartes is best known for his methodological doubt, where he attempts to doubt anything to see if he can find one certain idea. He ends up doubting even mathematical truths, because an "evil demon" could be deceiving him. 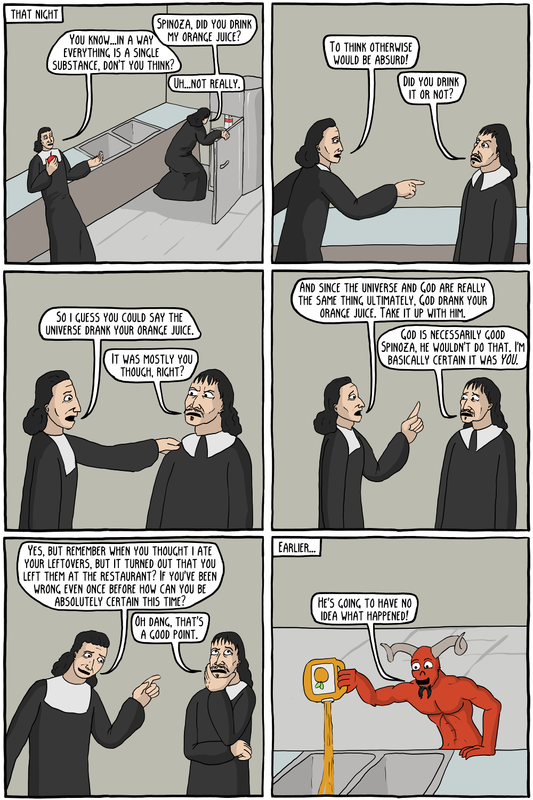 Spinoza was a near contemporary of Descartes who believed that everything was a mode of a single substance (famously saying it was "God or Nature", leading many to believe he was an atheist). For Spinoza, even our minds are a fragmented, small part of God.